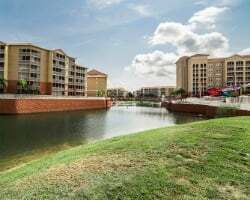 Guests at *Westgate Vacation Villas II* enjoy the finest in luxury accommodations, just one mile from the main entrance to Walt Disney World Resort off U.S. 192 in Kissimmee, Florida. With more than 1,200 luxury villas, Westgate Vacation Villas offers ideal luxury accommodations for both families and friends. Plus, with a full schedule of family activities available, even days spent at the resort are packed with fun and excitement! 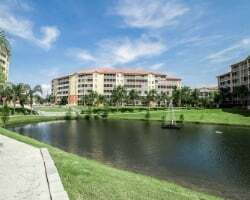 Westgate Vacation Villas is convenient to all major Orlando attractions, as well as the Orange County Convention Center, downtown Orlando and the Orlando International Airport. 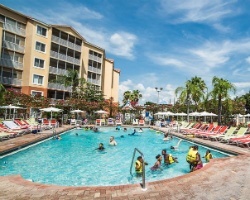 Resort is conveniently located minutes from Disney, Universal and SeaWorld! Week 29! Buyer may receive a title fee credit, inquire for details! 2 weeks in the bank at this time that will be included in the sale! Buyer may receive a title fee credit, inquire for details! Family friendly resort with many exciting activities! Buyer may receive a title fee credit, inquire for details! 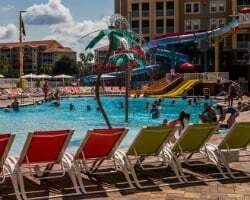 Resort is close to Walt Disney World and other major theme parks! Buyer may receive a title fee credit, inquire for details! Come make memories to last a lifetime! Close to Disney theme parks! Week 31 on even years! Inquire for details! Beautiful October week 40 in even years!Owner has prepaid closing credit; please inquire for details! All reasonable offers considered! Annual trips to Florida for a perfect getaway! Buyer may receive a title fee credit, inquire for details! Week 34! Close to theme parks, dining and more! Many onsite activities! Buyer May Receive A Title Fee Credit, Inquire For Details! Biennial even week 47! Price is negotiable! Buyer May Receive A Title Fee Credit, Inquire For Details! Annual floating week! Large suite with the ability to bring family & friends! Buyer May Receive A Title Fee Credit, Inquire For Details! Make this your Orlando family resort! Even years floating week! Buyer may receive a title fee credit; inquire for details! Resort is well known for it's onsite amenities & for being near major attractions! Buyer May Receive A Title Fee Credit, Inquire For Details! Annual week 42! Handicapped room, first floor, corner unit! Only moments from the Walt Disney World entrance! Buyer May Receive A Title Fee Credit, Inquire For Details! Annual week 34! Great option for families near many attractions! Buyer May Receive A Title Fee Credit, Inquire For Details! High Demand week 26 every year- sometimes falls 4th of July week! Gorgeous resort! Deeded September week #37 or opt to float in any season! All reasonable offers considered! Week 42 in even years! Also see ads #1480402 and #1481128! Serious offers will be considered. Annual week 9! Buyer May Receive A Title Fee Credit, Inquire For Details! Enjoy week 1 every year in Florida! Buyer May Receive A Title Fee Credit, Inquire For Details! Make memories to last a lifetime! Buyer May Receive A Title Fee Credit, Inquire For Details! Only moments from many of Florida's best attractions! Buyer May Receive A Title Fee Credit, Inquire For Details!